I love doing thoughtful things for my people. Freshly baked lemon blueberry bread to welcome them home from school or work. Freshly laundered stacks of clothing on the end of the bed are actually love notes from me. A chocolate croissant on a Monday morning just because I know how hard Monday mornings can be. I like to ask myself what I can do to make their lives better every day. I love them up with my acts of service and a cozy home and hope that it makes them feel loved and that they carry that out into the world with them. To a lesser extent I want to do this with my friends too. 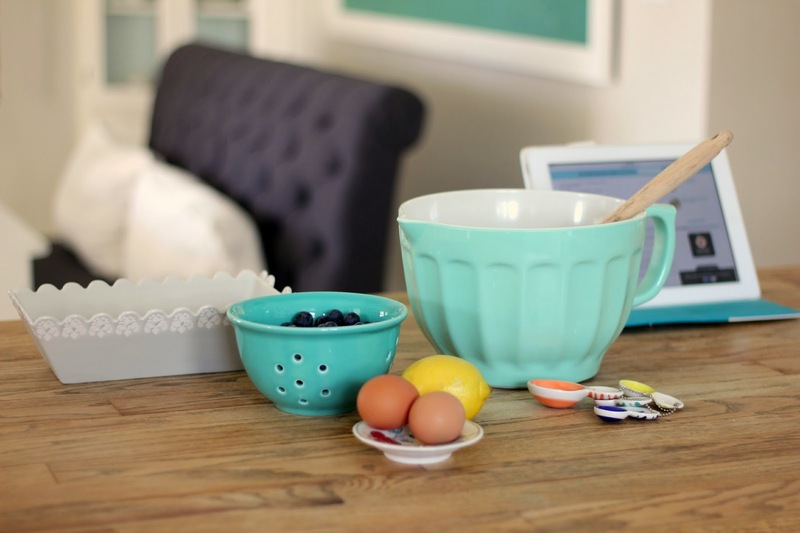 I'm happy to cook you a meal when you are in need, organize your kitchen when you move, help you choose paint colors and fabric, make you a special gift, send you a card or an encouraging text just so you know I love you. But lately It's really been on my heart to spread that thoughtfulness out further. Random acts of kindness. A compliment, a kind word, a smile. Sometimes it's $5 to a man on a corner with a sign even if you think he might drink that $5 up later. Sometimes it's encouragement to a young mother struggling with a cranky little one. Maybe it's letting someone get in line in front of you because they look stressed and you really aren't in a hurry today. There are so many ways we can reach out and give other people a little joy that really cost us nothing, but may mean everything to them, in that moment. You might find that doing this changes the way you view the world around you. One day you might even find yourself on the receiving end of a gesture so thoughtful that there will scarcely be words to express your heartfelt thanks. That's what happened to me when I received this mini quilt from Renee at Sewn with Grace. I have many talents, but as of yet quilting is not one of them. This makes me admire those with this talent even more. The quilt itself is an amazing, thoughtful gift, made just for me but then she embroidered it with my own quote to serve as a reminder of my goal for the year. This is one of the most thoughtful gifts I've ever received and I feel so honored to be the recipient. Thank you Renee. I'm glad you found some inspiration in my words. That is the greatest compliment I can receive. I will cherish this thoughtful gift! Jen, we are on the same page, definitely! And isn't Renee a gift in every sense of the word! Your heart is golden. Such a good reminder! Thank you! And what a special sweet friend! WOW! Such a lovely post. Enjoy the remainder of your week. I love finding the joy in taking care of my home and my loved ones, just like you...isn't it wonderful to be able to be home FT and do so? And then to spread small, loving gestures to friends and even "strangers"...it's what makes the world go 'round, my friend. And I truly believe that we get back what we give. Just make sure to take time to nurture and love yourself, too! That mini quilt that Renee made for you is beautiful and a very loving gift. What a blessing! What a beautiful gift and a beautiful post! 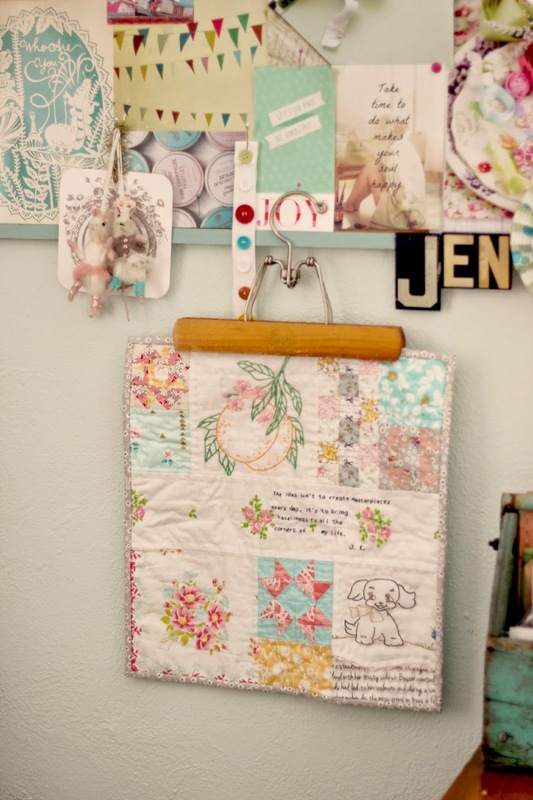 Lovely post, beautiful quilt! You are very thoughtful with what you write and send out into the world. Thank you! You are both so inspiring! I have tried to live my life as you suggest - little gestures here and there - and I will tell you that it feels quite good and I also know that I have been rewarded a hundred times over by little gestures aimed at me. Oh, the world is good, it just doesn't make good headlines. You new quilt is lovely. What a great post! I try to do and be what you talk about. It does make one's heart feel blessed! What a special gift you received, I'm sure you will cherish it! I always scroll thru the blogs I enjoy looking at first thing in the morning and pick which one I will look at first. Yours is always one that puts a smile on my face and I can't wait to click on and see what your up to today! Thanks for your wonderful blog! OOh I love the quilt! What a sweet and thoughtful gift. Love this post -- you are so sweet and thoughtful!!! I try to do this too, but probably don't do it enough. I am going to try and do more! I did make my neighbors chocolate chip muffins yesterday. What a difference it would be if we all practiced random acts of kindness every day. 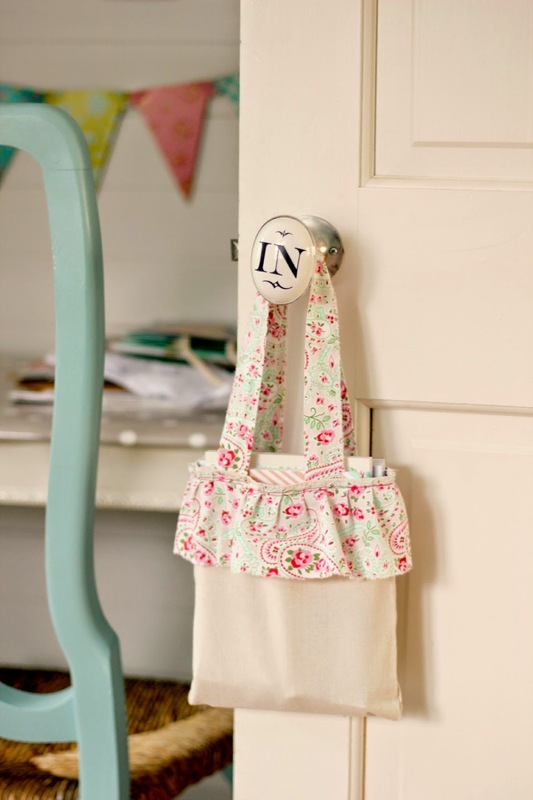 Love this post and your pretty mini quilt. I think I may "borrow" your quote for my craft room chalkboard. what a beautiful post, the pictures and your thoughts on kindness and how you can contribute, and what you do for your family is so special and a great reminder. Wonderful post...I too love to give it is my love language. I love to see the joy on some ones face when they have received an unexpected gift. At Christmas we celebrated the 12 days of Christmas and each day we practiced random acts of kindness it was such a joy to see how much my kids enjoyed it. What a beautiful quilt and the quote is just lovely. Thank you for taking the time to say hello today! I always love to hear what you have to say. I'm a Village living, decorating obsessed, home chef, gardener in training, creative spirit and lover of the simple life. I am Mom to 2 sweet girls and wife to 1 amazing man. I love my family, friends and all things cottage and vintage. I believe in taking risks and following your dreams. Life is short. Enjoy every moment.